WildEarth in partnership with HerdTracker will be live streaming the wildebeest migration via Facebook and YouTube in Kenya’s Masai Mara National Reserve from 20 to 25 September 2016. The live broadcasts will be hosted daily on HerdTracker’s Facebook page and WildEarth’s safariLIVE YouTube channel between 16:00 to 23:30 EAT (East Africa Time) and will centre around the wildebeest migration crossing the Nile crocodile-infested Mara River as well as predatory action of lions hunting at night in the Masai Mara. WildEarth will also be broadcasting live from South Africa’s Sabi Sand Game Reserve in South Africa, an excellent Big Five safari destination which shares a border with the Kruger National Park. Graham Wallington, CEO of WildEarth hopes to show viewers who tune in to the live broadcasts an authentic African safari experience. Andre Van Kets, creator of the HerdTracker web-app which tracks the wildebeest migration in real-time and removes the fear that travellers have when planning a migration safari, hopes that by broadcasting the wildebeest migration live, it will encourage more international travellers to make Kenya their chosen holiday destination and to experience this natural phenomenon for themselves. 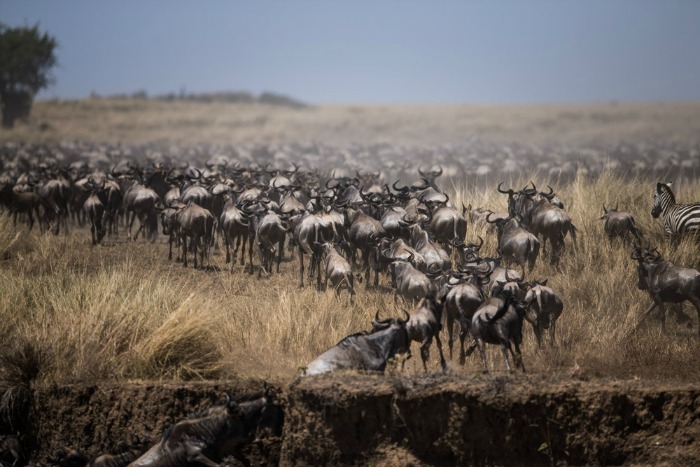 In October 2015, HerdTracker in partnership with Make It Kenya hosted #MaraLive – the world’s first live web broadcast of the great wildebeest migration from the Masai Mara, Kenya via Twitter’s Periscope app.